in With 15 mm hook chain 9, work foundation row. Make 8 rows in Tunisian simple stitch, cast off = 10 x 10 cm. Get a discount buying both November Shades and Pumpkin Skin using coupon AutumnROX! Acquistando sia November Shades che Pumpkin Skin riceverete uno sconto! Coupon da inserire: AutumnROX. 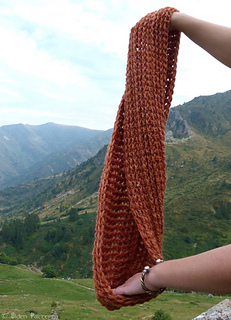 Pumpkin Skin is an easy Tunisian crochet infinity scarf, worked from end to end. 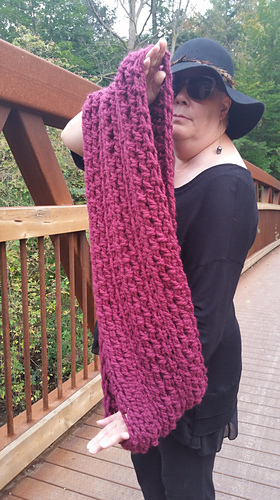 The combination of worsted yarn and relief stitches makes it look original, and it’s so quick to finish that you’ll surely want to make more than one. 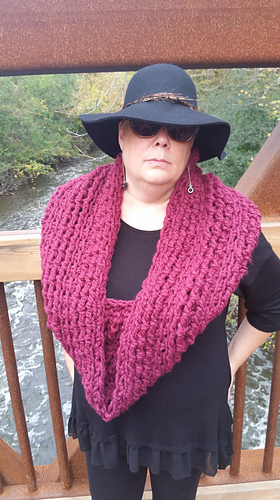 I conceived it as an infinity scarf, but if you want you can of course leave it open and wear it as a regular rectangular scarf. 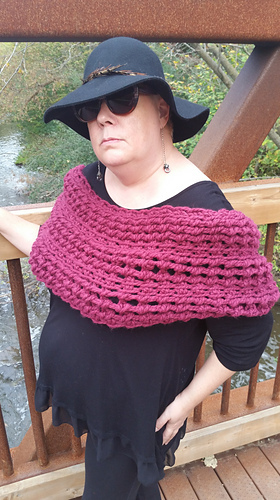 Pattern is rated easy according to Craft Yarn Council’s standards. Pumpkin Skin è una semplice sciarpa ad anello ad uncinetto tunisino, lavorata da un lato corto all’altro. 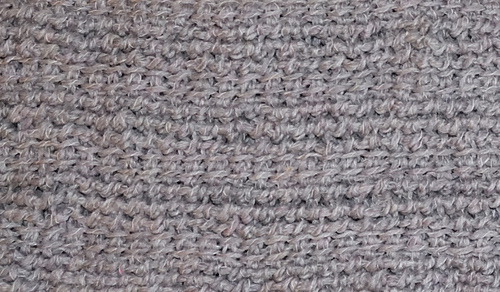 La combinazione di filato worsted e punti in rilievo le dona un aspetto originale, ed è talmente veloce da finire che non si può resistere alla tentazione di farne più di una. Anche se è stata concepita come sciarpa ad anello, la si può lasciare aperta ed indossarla come una classica sciarpa rettangolare.